I have never gone on a proper road trip. Part of this, I’m sure, is because I am average (at best) at driving, but a bigger portion is that I get antsy sitting in one place for so long. While some of my more recent trips have shown me that a day of driving to see beautiful sites can actually be a ton of fun, I still had never adventured on a days long road trip. But if there is one thing true about me, it’s that I’m all about trying new things. So Memorial Weekend I decided to take a road trip with my younger brother. Even better? We decided to drive around Iceland, somewhere we had been talking about visiting together for a few years now. Thankfully, I have a ton of friends and colleagues that had previously visited Iceland and gave me recommendations as well as travel itineraries for things to do. And in the spirit of ensuring I help future travelers the way I have always had assistance, below is what my brother and I experienced during our long weekend in Iceland. Thursday night before Memorial Day I took a WOW flight from Boston to Reykjavik, arriving in Keflavík International Airport around 5 AM Friday morning. My brother had taken an earlier flight, arriving Thursday, making the beginning portion of my trip easier. Tasks at the crack of dawn that seemed like insurmountable challenges (e.g. finding the rental car station and getting our car) were already taken care of for me. Instead, I just had to make my way to arrivals and jump in the car. Our goal for our first full day in Iceland was to drive down to Vik, the southernmost town in Iceland, to see the black sand beaches and to stay overnight in the neighboring town of Hvolsvöllur. While Google Maps says that the drive down to Vik from the airport takes only three hours, we (correctly!) estimated that with the number of stops we wanted to take we would be able to fill up an entire day. The first stop we made was to see two waterfalls: Seljalandsfoss and Gljúfrabúi. These were about two hours away from the airport, a drive that seemed much shorter on a road with few other cars, no trees, and breathtaking mountain views. Each of the two waterfalls brought something unique to our trip. We saw Seljalandsfoss first, a fantastic introduction to Icelandic waterfalls (of which there are many). 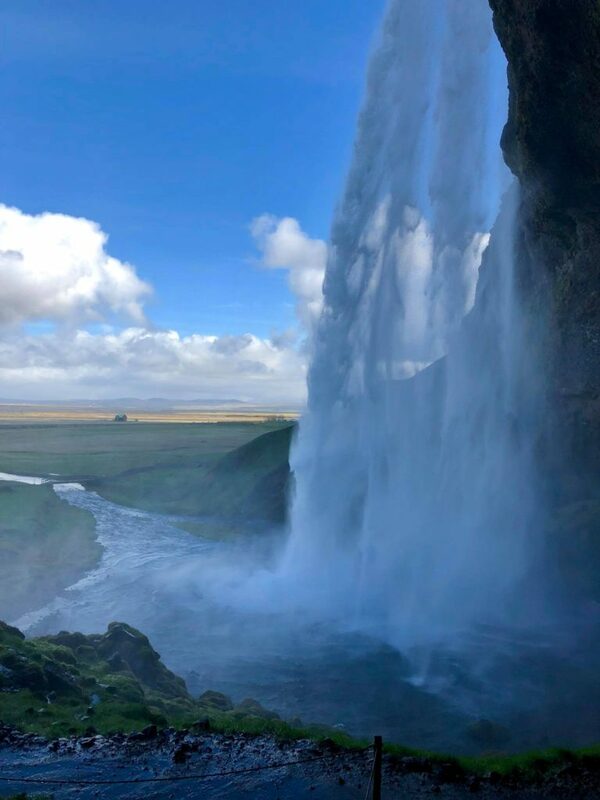 Unlike most waterfalls I had seen in my life, where you are able to stand in front in awe, with Seljalandsfoss you are also able to walk behind it, which was spectacular. While I had the chance to see beautiful waterfalls during my drive through Oregon, I had never been able to see one from the other side. As thrilling as Seljalandsfoss was, my favorite of the two was Gljúfrabúi. When we walked up to where the waterfall was supposed to be my brother and I were confused. Instead of seeing a waterfall, all we saw was a little canyon with a stream flowing through it. Deciding we were going to lean into being adventurers on this trip, we waded through the stream, hopping on rocks when possible, until we were inside the canyon looking up at a waterfall. 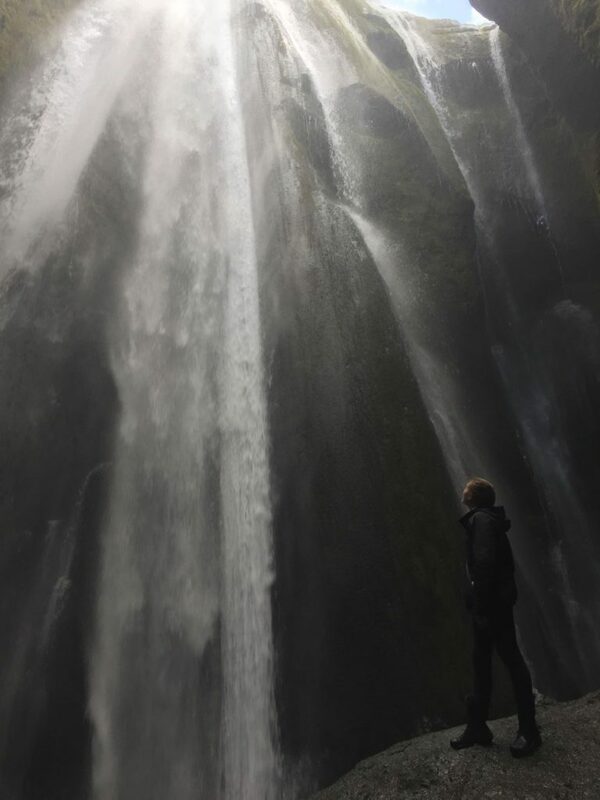 With light shining through the top of the canyon and water cascading from above, it looked like the poster image for a religious institute encouraging someone to find the light of a higher power. It was magical, and being so early in the morning only my brother and I were in the canyon, giving it a ‘hidden from the rest of the world’ type of ethereal beauty. 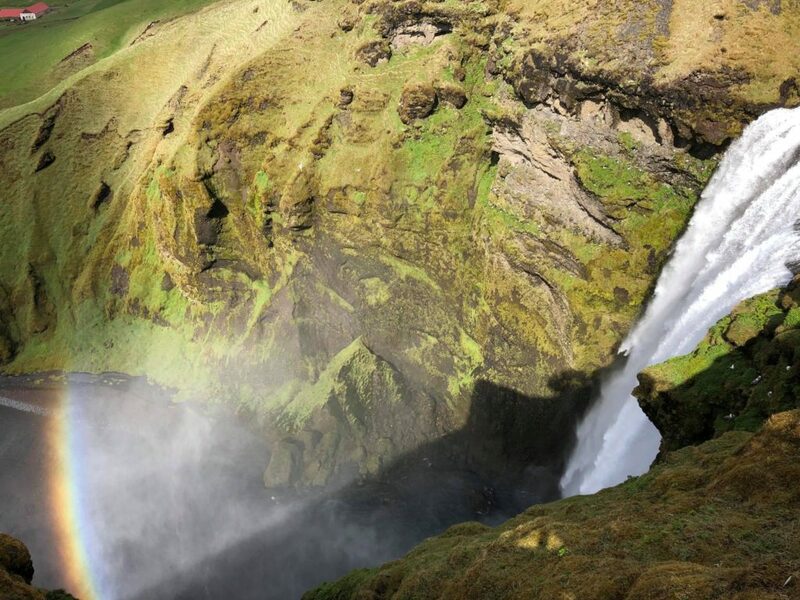 Next on our list was another waterfall: Skógafoss, one of the top five sites of Iceland. The waterfall is huge, and in addition to being able to walk right up to it, there are stairs to see it from the top as well. 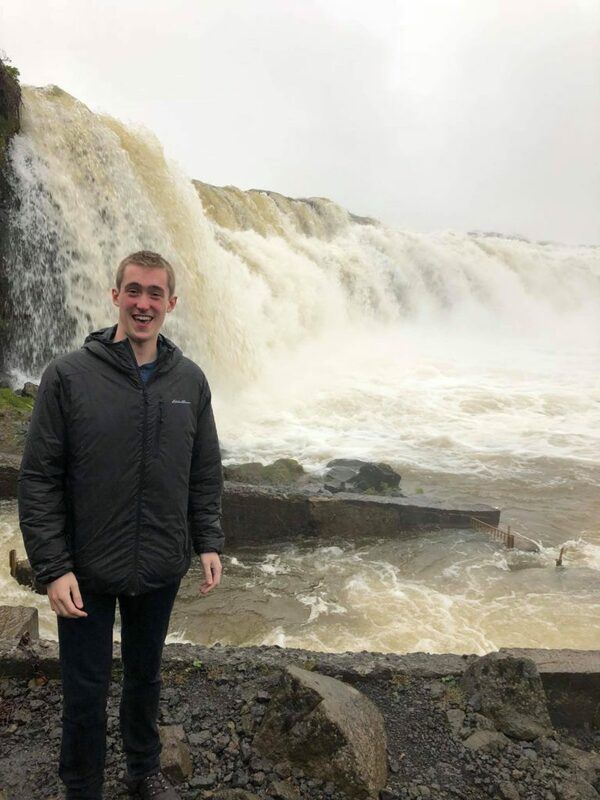 There is a hiking trail that leads down the river the waterfall originates from, but my brother and I skipped out on the walk after some fellow hikers said it was pretty, but there were better ways to spend your time in Iceland. That being said, Skógafoss was spectacular due to in part the number of rainbows formed around it consistently, making all my pictures look like potential National Geographic cover shots. After the waterfall, we hopped back in the car and drove closer towards Vik, stopping at the Solheimasandur Plane Wreck. While researching the plane wreck I clearly missed the fact that it wasn’t close to the side of the road like all the other waterfalls we had seen that day. Instead, it was about a 45-minute walk across the black sand beach to reach, much longer than we were expecting. Overall the plane wreck was cool to see and worth the walk, but wouldn’t have been should we have had less time in Iceland. 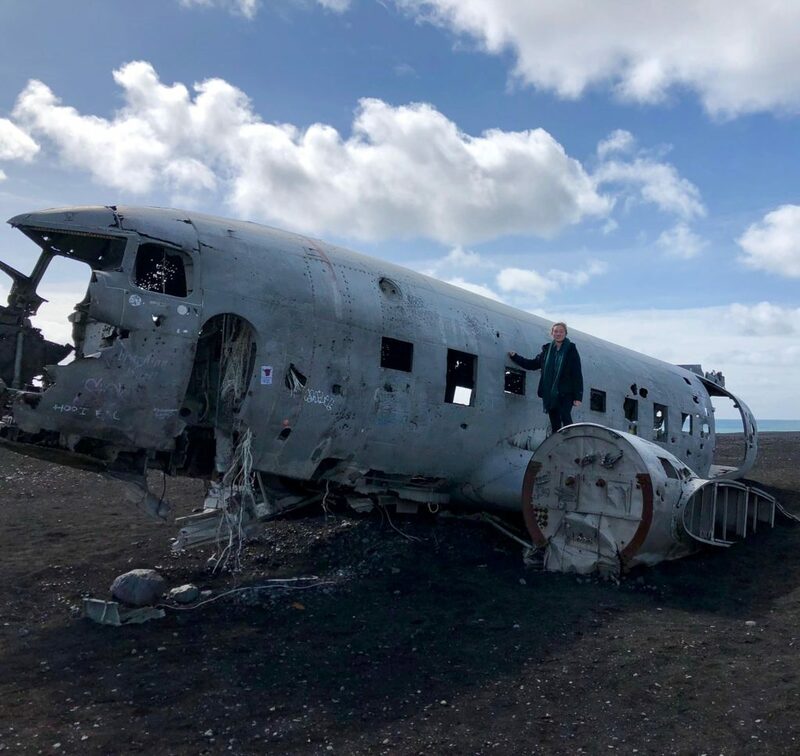 It was exciting to poke around the interior of the plane and see the plane wreck against the eerily black sand, but in poorer weather my brother and I would have been fine skipping out on seeing it. After stopping for some lunch in Vik, we then drove to my brother’s favorite part of Iceland, Reynisfjara Beach. While the plane wreck was cool, it had absolutely nothing on this beach. 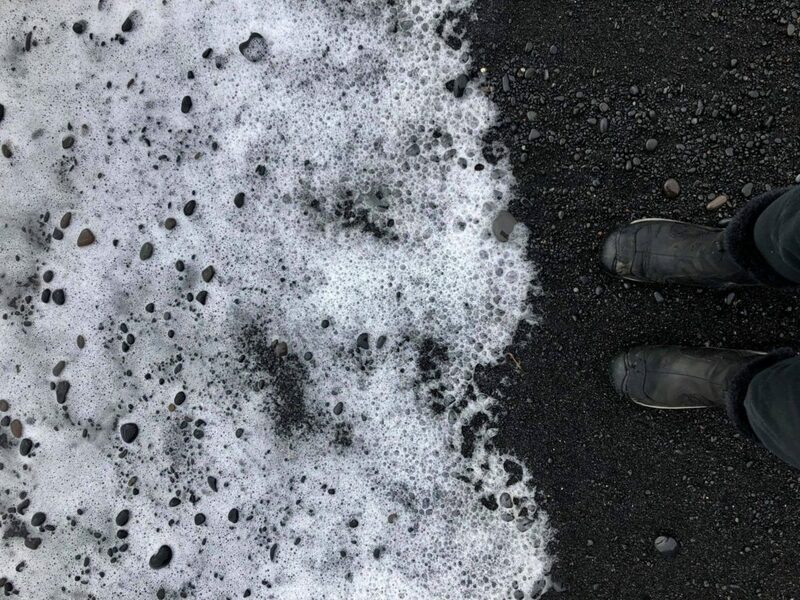 I’m still not sure what about it made it so unbelievable, but after only seeing white sand beaches in my life, seeing ocean waves roll onto pitch black sand while smelling the ocean air was a wild experience. Even cooler was that directly behind the ocean are hexagonal-shaped basalt columns towering over you. These are complete freaks of nature – while I am sure there is some geological reason for their shape, I have never seen nature so geometrically organized before. Even more fun? In addition to being awed by how unusual these columns are to look at, they are just as great for letting your inner child out by climbing up them. Once we were done walking the length of the beach, which took much longer as every few minutes we stopped to marvel at the surrealness of our surroundings, my brother and I drove down to the Dyrhólaey Peninsula. 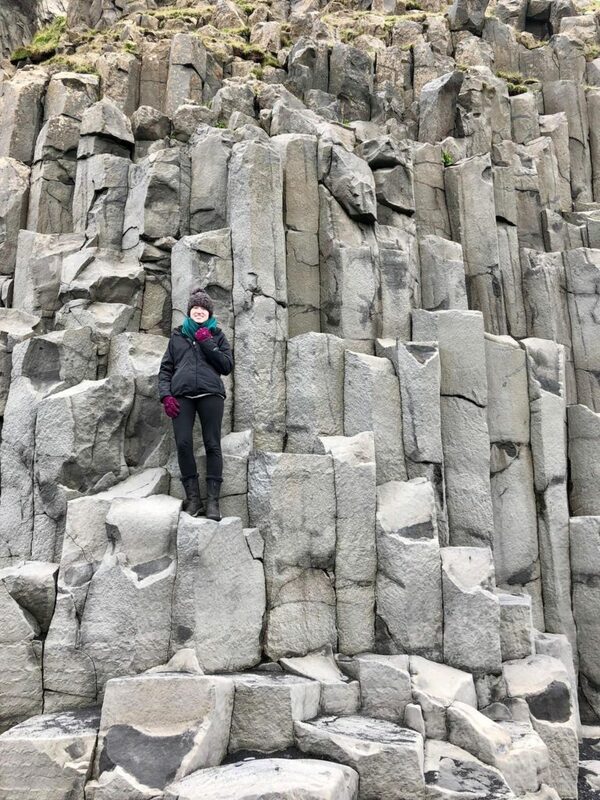 While it was nice and allowed us to see a natural rock formation that had a hole in it that was very scenic, it was not nearly as exciting as Reynisfjara Beach, making it feel like a bit of a letdown. Combined with the fact that our car was unable to make it up a gravel road to the Dyrhólaey Lighthouse, which was on our list to see, Dyrhólaey was not nearly as spectacular as the other things on our first day. We had initially considered driving two hours to see the Svartifoss Waterfall, located two hours east of Vik, when planning for the trip, but we decided against going. We were getting tired and didn’t want to push ourselves too hard our first day lest we be unable to keep the momentum going in the following days. Instead, we headed back to our AirBNB, made a grocery store run and a relaxing dinner, then promptly passed out for a good night’s sleep. After waking up mid-morning more refreshed than I’d been in months, we set out for the next day’s adventure. Our goal was to make it halfway through the famed Golden Circle, giving us enough time to explore each location fully. The only problem? The weather was horrendous. Overall Iceland was cold, at its warmest being mid-40s. But on our second day it was pouring freezing rain, making all our outdoor activities (aka everything we had planned) a bit miserable. That being said, we weren’t going to skip out on Iceland essentials because of some rain, so we put on our heavy boots (a necessity I almost didn’t pack) and set off. Our first stop of the day was Gullfoss Waterfall, one of the more popular tourist attractions in Iceland. 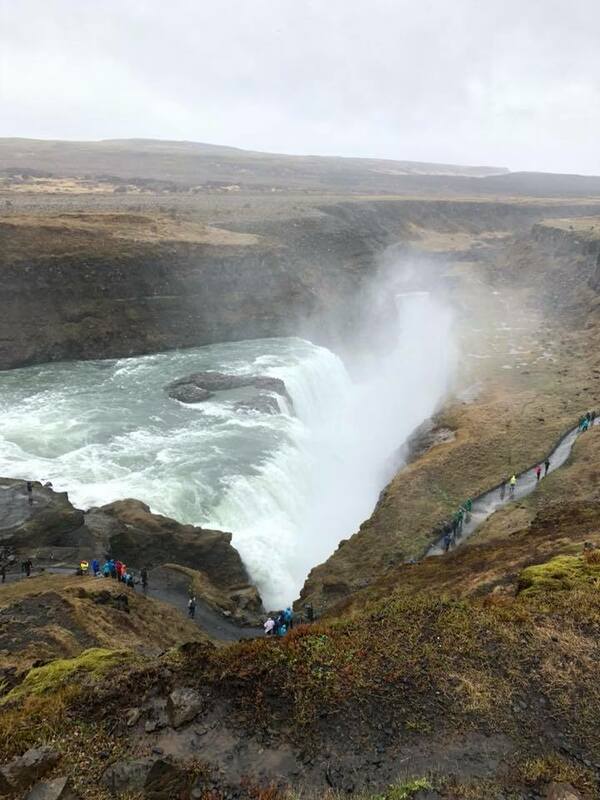 The largest waterfall we saw during our trip, Gullfoss had water plunging down multiple stages like a staircase and was a sight to behold. Combined with the roaring sound and the rain making it gush even more than usual, I didn’t even mind the weather at that moment. Next on our to-do list was to see the geysers of Haukadalur Valley. Prior to visiting I had only heard of one geyser that was a must see, the creatively named Geysir. Upon arrival, it became apparent that the geyser to truly see was Strokkur, which erupts approximately 8-10 minutes. By contrast, Geysir infrequently erupts, something we realized after standing in the freezing rain for much longer than I care to admit (and then sitting in our car while facing the geyser, waiting for an eruption). Seeing Strokkur erupt multiple times was worth the visit though, as both my brother and I had never seen a geyser in action before, something both interesting to see as well as anticipate. Hunger eventually won out over our patience for Geysir (which for all we know we could have still been waiting for) and after a quick lunch, we headed over to Bruarfoss Waterfall. Google Maps led us astray though, as the road it was taking us on which promised only a few minutes walk was actually private property. Once we found the actual beginning a mile and a half down the road, we debated whether or not we wanted to check it out that day. The sign before said it was going to be about a half an hour hike, and while we initially started off on our adventure to see it, it only took a few minutes of freezing rain for us to decide to try again the following day. We ended up heading back to our AirBNB, which was one of the most beautiful places I’ve ever stayed in. It was a small cabin the size of a tiny house and absolutely adorable to boot. As unusual as it sounds, it might have been my favorite part of my second day – everything we had seen previously was cool, but didn’t compare to the beauty of the first day’s sights, and the cabin was a great place to relax and read a book (it even had a puzzle of Iceland in the bedside table for us to complete). My brother and I felt a bit lame and like we hadn’t accomplished nearly as much as we had the day prior, so on the suggestion of our AirBNB host, we drove a few minutes down the road to Faxi Waterfall. While smaller than the other attractions of the day, Faxi Waterfall was really intriguing because we were the only ones there and able to get up close and personal to the falls. We only stayed for a short while, but it was astonishing to me that something so cool as a waterfall could be hidden just a few short minutes off the highway and missed by most of the tourists, us included had we not been given a local’s suggestion. The fact that a fun waterfall was unmentioned due to the sheer number of intense and beautiful waterfalls throughout the country still baffles me and says a lot about the amazing geography of the country. To start off our last full day in Iceland, my brother and I went back to the Bruarfoss Waterfall hike. While it was still drizzling, it wasn’t nearly as intense as it had been during our first attempt so we were ready to tackle it again. 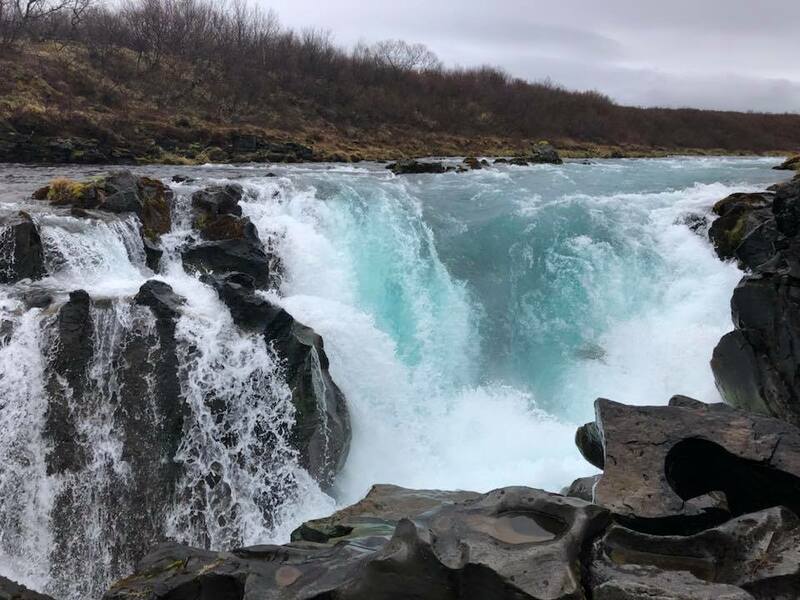 I’m very glad we did end up trying again, as Bruarfoss Waterfall was one of the most beautiful stops on our trip – the water was such an intense teal blue, it seemed to be glowing from within. That being said, hiking to Bruarfoss Waterfall was a pain, to the point we were unsure if we were going to make it. While only just short of two miles, with the recent rain the path was difficult to navigate, so much so that we passed two people on our way that recommended we turn around because they weren’t able to pass. Stubbornness won out though, and after pushing through some shrubs, climbing over rocks, and almost losing my boot in a muddy stretch so deep I feared the top of my shoe will never be clean again, we made it. While it was difficult to get to, I think that made it that much more fun. Almost everything else we had been able to practically drive right up to, and by contrast we had to earn our right to see this waterfall. It was an exciting adventure, one which we survived because we came into it ready to laugh at our disastrous attempts. Once we got back and effectively destroyed the interior of our car by caking it with mud we drove to Kerið, a volcanic crater. The only attraction we ever had to pay to see, Kerið was a unique sight to behold. It was an oddity – a giant hole in the middle of the Earth filled somewhat with water. It was worth seeing, but potentially would have been more fun on a nicer day when the wind wasn’t threatening to push us down into the crater and the sky was clearer, giving us a better view down. Our final stop on the Golden Circle was to see Þingvellir National Park. A World Heritage Site, the park was a stretch of stunning views. What’s intriguing about Iceland is that there are so few trees, even in national parks, it made the moss covered rocks and jagged landscape that much more intriguing. I can’t remember if I’ve ever been in a national park without trees before, or even a landscape so large without trees, but it has an eerie effect that was compelling to experience. 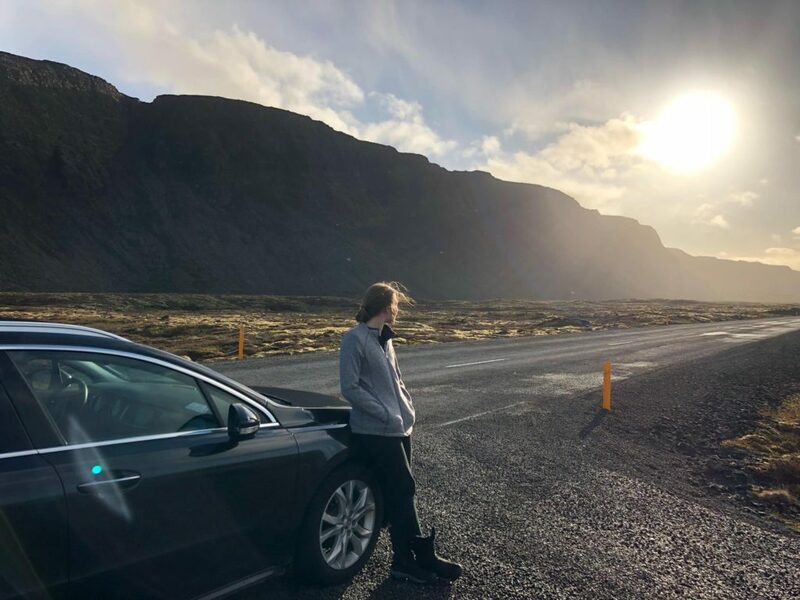 My brother and I didn’t stop much in Þingvellir because we had to make sure we got to our AirBNB check-in by the correct time, but the mountains we saw made for a beautiful drive. After driving through Þingvellir National Park, we headed to Reykjavik, my first time in the capital city. We checked into our AirBNB (which had one of the most beautiful bathrooms I’ve ever seen) and set out to explore the city a bit more. 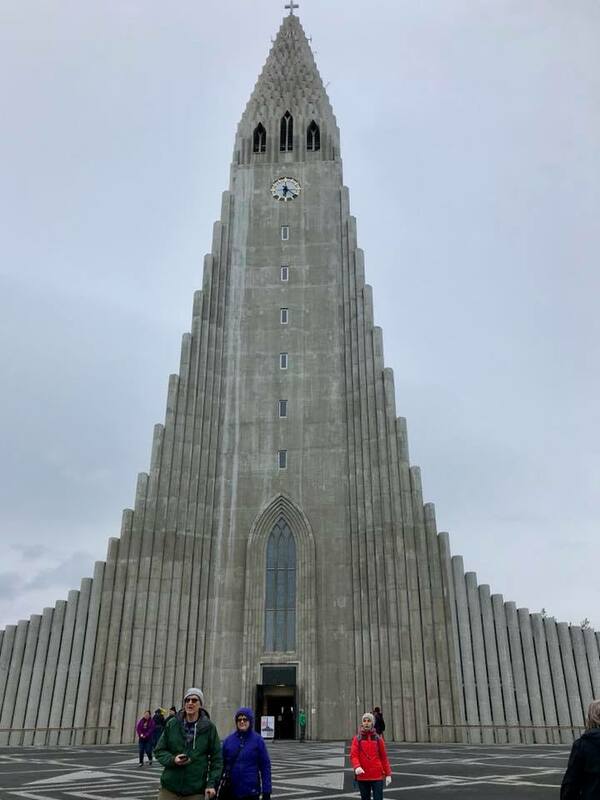 It was a little later in the day so most shops and museums were closed, but we were able to walk up to the famous Hallgrimskirkja cathedral, as well as go inside. The cathedral is visible from nearly all of the city and is an easy reference point, especially since it distinctly resembles the rock formations at Reynisfjara Beach. Because we were having some solid sibling bonding conversations we decided to walk around the city a bit more, stopping at the Harpa music hall, as well as the ‘Sun Voyager,’ a stainless steel art installation by the sea. While Reykjavik is cute with a lot of fun looking restaurants and shops, I was a bit disappointed. I had been told it was small, but as someone who loves cities I was hoping for some more action, some bigger buildings, maybe even a bit more liveliness after the quiet of the rest of the country. Reykjavik was more like a large town though, and while that comes with a different type of charm, it was not what I was hoping for. The final morning of our trip we woke up ridiculously early and headed to our final stop: the famous Blue Lagoon. My brother and I had purchased tickets weeks prior for one of the earliest time slots available, giving ourselves enough time to thoroughly enjoy the lagoon and relax before our long flights that afternoon. As someone who does not frequent spas, the Blue Lagoon surpassed all my expectations. Included in our ticket was a towel, one drink, a silica mud mask, and a bracelet that let us access our lockers as well as purchase additional drinks and spa services. The ticket overall was a bit pricey, but as something everyone recommended visiting, the Blue Lagoon was a must see. What surprised me the most about the Blue Lagoon was how fun it was. My brother and I spent about three hours there before we began getting antsy about our flights, but the time felt as though it flew by. We started our spa experience absolutely freezing, as it was in the high 40s when we arrived, but after dipping into the geothermal space, the cold air was more refreshing than painful. While the appeal of the Blue Lagoon is essentially sitting and relaxing, something I’m not known to do well, it was enjoyable. We goofed around and made our way about the perimeter of the large pool, we got drinks and sunned ourselves, we took ridiculous photos featuring us with mud masks, and we checked out the sauna and steam rooms until we thought we would pass out from the heat. And on top of that, it felt fantastic. Usually I get too hot in saunas and hot tubs, and want to leave after a half hour max, but three hours in and I was still having a fantastic time at the Blue Lagoon. 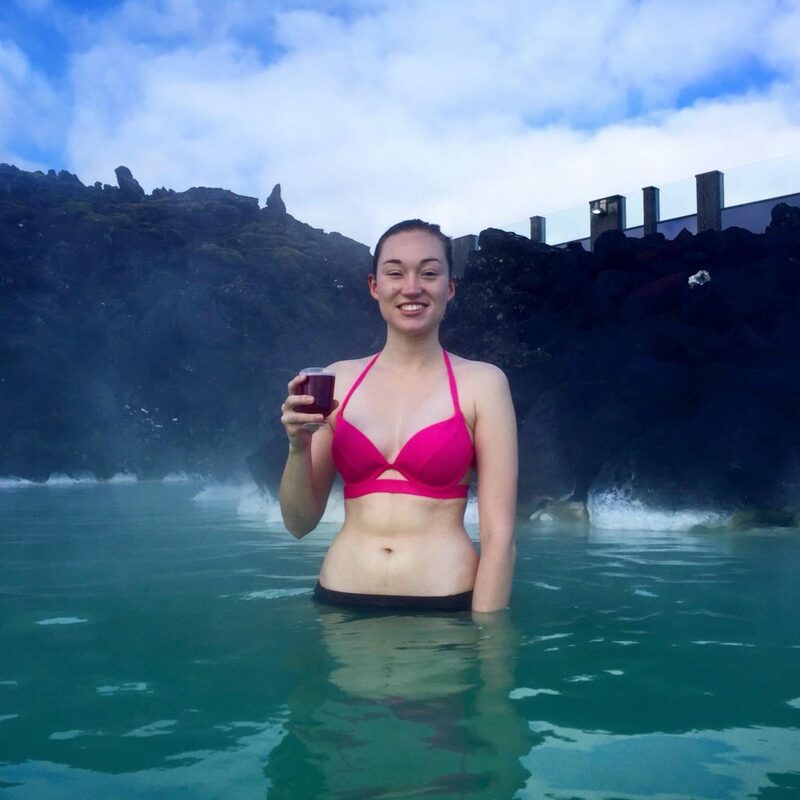 I’m not sure if it was the fact that everyone around us was also on vacation and incredibly happy to be relaxing on a long weekend trip, but I have never had as much fun relaxing as I did at the Blue Lagoon. Once we wrapped up and got dried off we headed back to the airport – making my long weekend trip come to a close. I’m really glad I got the chance to visit Iceland and have it be my first official road trip (albeit a short one). Seeing beautiful waterfalls and other amazing feats of nature was spectacular and a trip I would recommend to someone with a longer than normal weekend dedicated to travel. 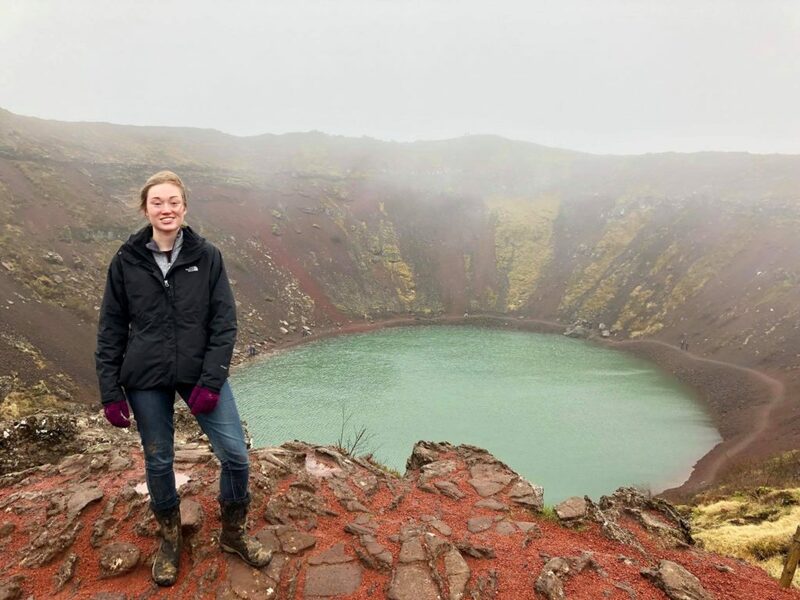 While I don’t think I would necessarily come back again before visiting somewhere else, I enjoyed myself immensely and am still in awe when thinking about what Iceland has to offer travellers. This entry was posted in Europe, Travel and tagged iceland, road-trip, top-attractions, travel. Bookmark the permalink.